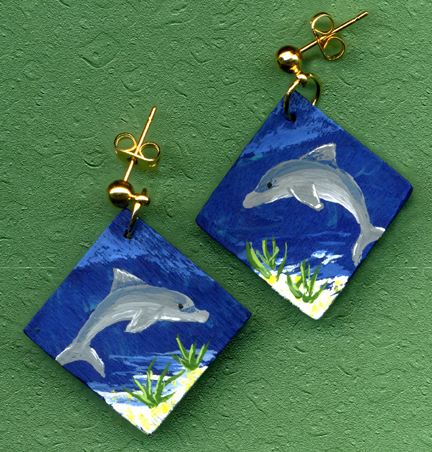 These Dolphin earrings are hand painted and measure 1 inch square. They are clear coated for durability. They are fitted with gold plated ball post and ear nuts.